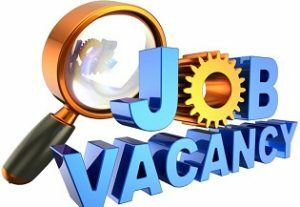 Are you in search for the TS Gurukulam Junior Lecturer Recruitment 2018? Well, the officials of the Telangana Residential Educational Institutions Recruitment Board has released the తెలంగాణ రెసిడెన్షియల్ ఎడ్యుకేషన్ ఇన్స్టిట్యూషన్స్ రిక్రూట్మెంట్ బోర్డ్ Job Openings for the 29 Junior Lecturer Posts. For that, all the applicants have to focus more on this article to download the treirb.telangana.gov.in Application Form and can apply. Meanwhile, grab all the details of the Eligibility Criterion, TREIRB Application Fee, Selection Process, with the TS Gurukulam Pay Scale and many more. Further, candidates should apply for the Jobs 2018 between 9th August 2018 to 8th September 2018. At the end of this page, you can find the appropriate link to download the TS Official Notification with the proper applying procedure. For the తెలంగాణ రెసిడెన్షియల్ ఎడ్యుకేషన్ ఇన్స్టిట్యూషన్స్ రిక్రూట్మెంట్ బోర్డ్ Jobs 2018, all the eligible candidates have to pay the application fee as per the category. For the General and OBC Category, the Application & Examination Fee is INR 1200. And for the competitors belonging to SC, ST Category, the Application Fee & the Examination Fee to be paid online is INR 600. Educational Qualifications – All the candidates who are going to apply for the TS Gurukulam Junior Lecturer Recruitment 2018 must satisfy the criterion. Age Limit – The age limit for the applying contestants must be in between 18 years and 44 years. Ex. Service Men: 3 years & length of service rendered in the armed forces. Telangana State Government Employees (Employees of TSRTC, Corporations, Municipalities, etc. are not eligible): 5 Years based on the length of regular service. N.C.C. (who have worked as Instructor in N.C.C. ): 3 Years & length of service rendered in the N.C.C. Contestants who wish to apply for the TS Gurukulam Junior Lecturer Recruitment 2018, they will have the Written Test (Paper-I, II & III) followed by the Personal Interview. So, all the candidates have to perform well in each segment of the TREIRB selection procedure. The officials of the TRIEIRB will give the pay scale for the candidates who got selected for the opened Lecturer posts based on the society they are working. Mahatma Jyotiba Phule Telangana Backward Classes Welfare Residential Educational Institutions Society – INR 35120- 87130. Telangana Minorities Residential, Social Welfare Residential, Residential Educational Institutions Society – INR 35120 – 87130. 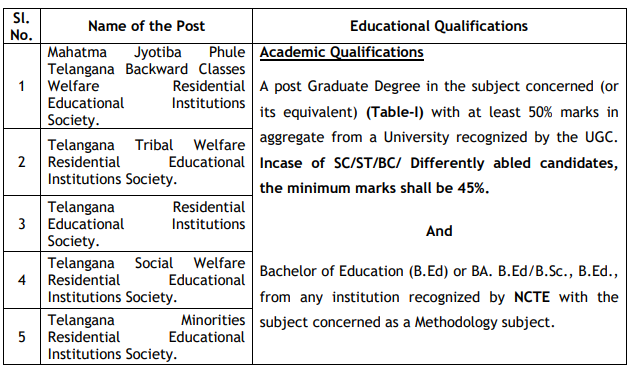 Telangana Tribal Welfare Residential Educational Institutions Society – INR 37000 – 91450. Date of Birth Certificate / S.S.C. Match the below process to apply for the TS Gurukulam Junior Lecturer Recruitment 2018. And the candidates should submit the application forms on or before the last date. Navigate to the official website of the Telangana Residential Educational Institutions Recruitment Board that is treirb.telangana.gov.in. In that home page, click on the “Notifications” section. Now, in the new window click on the flashed “Junior Lecturers Notification” to read the Notification. After checking out the Advt Details carefully. Further, candidates should click on “Apply Online” Tab on the home page to apply for the TS Gurukulam Junior Lecturer Recruitment 2018. Click on “REGISTER” button if you are the new users or else click on Log in. Upload your photograph and also the required certifications in the desired format. Thus, save it and download. For any other information regarding the TS Gurukulam Junior Lecturer Recruitment 2018, please visit our Sarkari Recruitment website.